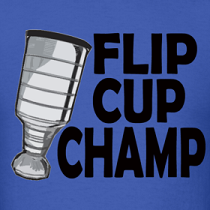 No spillage, no ping pong balls flying all over the place, no dirty pucks from hitting the ground, and it's hockey-related! We're not sure of the rules for Alco-Hockey, but we hope you just simply play until you've sunk a set score as guarding the last cup would be incredibly easy unless you're Vesa Toskala. 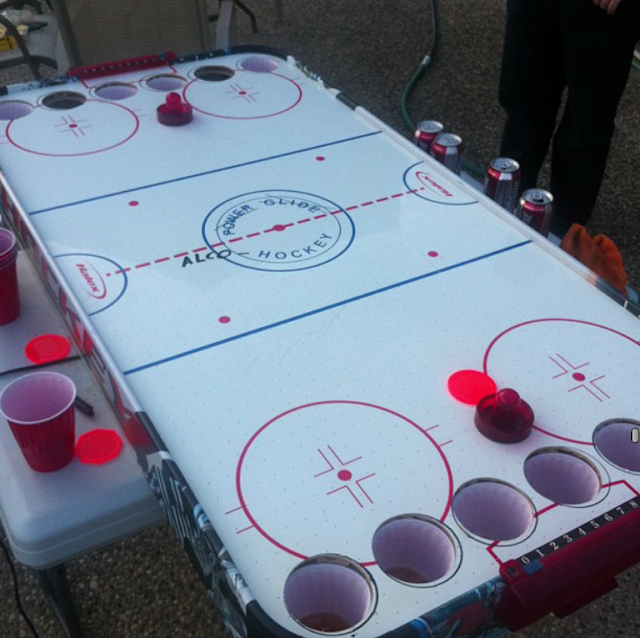 Kudos to the inventor for making a great hockey-related drinking game, although a perfectly good air hockey table is now ruined.